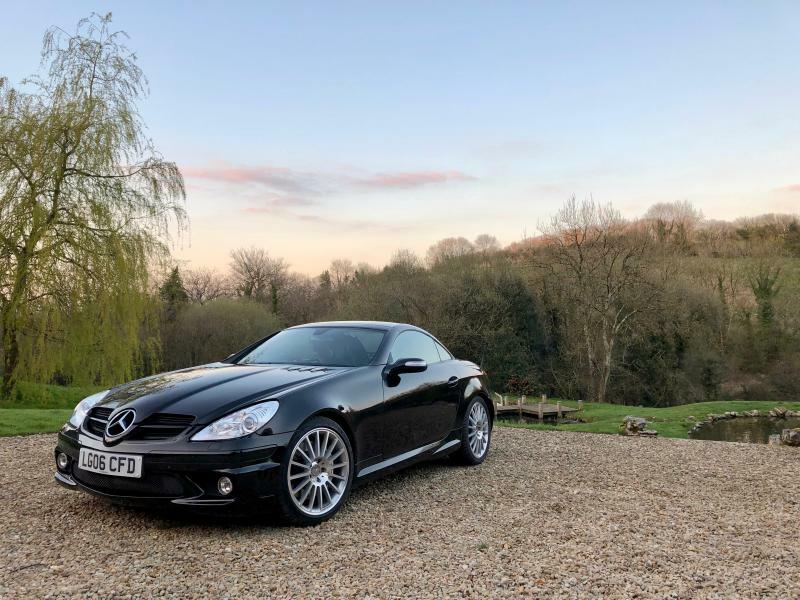 Hi my name is Andy and I have just bought a black slk55amg 2006 and its first owner was Bernie Ecclestone. jbanks15, hasontour, LIL DON SLK and 8 others like this. Welcome from just West of London - Hope the roof doesn't have 4 holes where the safety lights where affixed..?? Be great to see some pictures of Your car. Andy welcome from Mersea Island, Essex, UK. Welcome Andy. In addition to the above, have the pedal extenders been removed? Hi Andy, welcome from Barrhead, Scotland. Last edited by jbanks15; 5 Days Ago at 09:21 AM. Hi Andy and welcome from Lakeland, Florida USA! Welcome and cool about the history of the car. Don't know much about Bernie or Formula 1 but I did wind up at Eddie Irvine's house outside of Dublin years ago (long story). LIL DON SLK and Trev5 like this. A picture as promised ....and thanks to everyone for welcoming me to the forum ! jbanks15, Trev5 and Mike Florey like this. Welcome from Essex Andy . Nice car.